A Northland Pines High School graduate will be in the Northwoods for the next 10 days talking about his project helping women veterans of war heal through song. Jason Moon will be promoting the album Women At War: Warrior Songs Vol. 2, which is to be released in November. The album is a project of the non-profit organization Warrior Songs and consists of pairing up women veterans with women songwriters to help them translate their experiences into song. This is the organization’s second project of this nature, but the first album focusing only on women veterans. "We were hearing all of these stories from women veterans who had had all of the same experiences as their male counterparts, then in addition struggled with Military Sexual Trauma (MST), harassment, passed over for promotion..." says Moon. Moon says part of the reason for the CD is that he feels like the impact of women’s service and contributions to the military are often discounted. Moon says sometimes women don’t self-identify as veterans because of the reactions they get. "They've gotten so sick of hearing people ask them what their husband did or imply that they were in the rear or typing or a nurse," says Moon. "The hope is that with this CD, we'll demonstrate [their contributions] by getting testimonies from women and telling those stories and maybe people will stop doing that." While Moon is traveling around the country talking about and fundraising for the project, his contributions don’t extend very far for this particular CD. They have a committee of four women veterans and one Gold Star mother picking the stories that are being highlighted. Moon says women are happy to find out how little he’s actually involved. "Once I started communicating that to the crowds, they realized this wasn't going to be another mansplaining incident," he says. "It wasn't me picking the story as a man, because what do I know?" Though they’ve been working on the project for a number of years, Moon says they’re excited that the album is coming out in the midst of the Me Too movement. Women At War: Warrior Songs Vol. 2 will be coming out on November 10th of this year and will feature 15 songs and the testimonies of about 27 different women veterans. 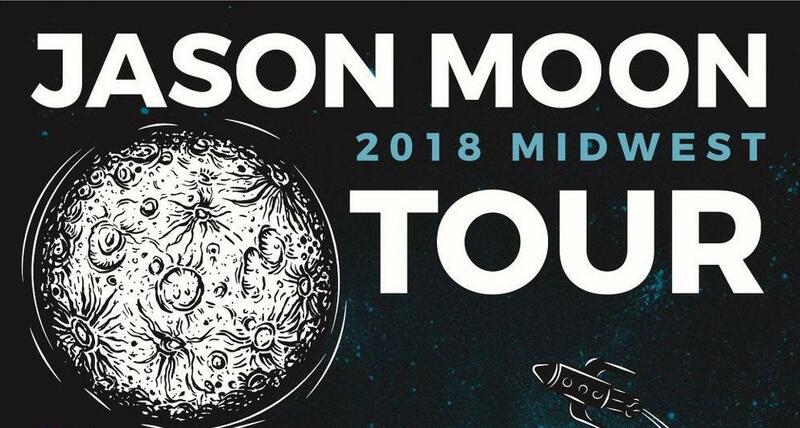 You can catch Jason Moon talking about the project live in the WXPR studios this Friday, June 29th at 3:30 p.m. and at the Warehouse Art Center in Eagle River later that night from 6:00 – 9:00 p.m. Moon will also be at the Big Easel Gallery in Wabeno on Friday, July 6th from 7:00 p.m. – 9:00 p.m. and at the Pirates Hideaway in Eagle River on Saturday, July 7th from 7:00 p.m. – 10:00 p.m.